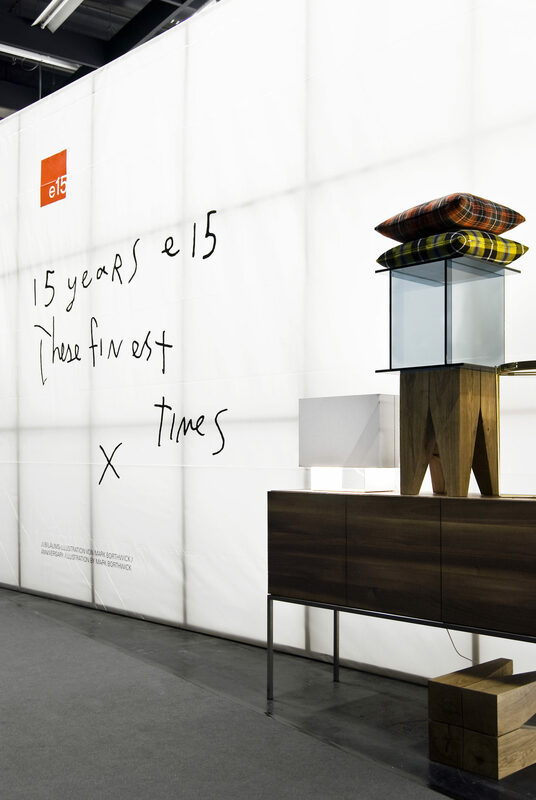 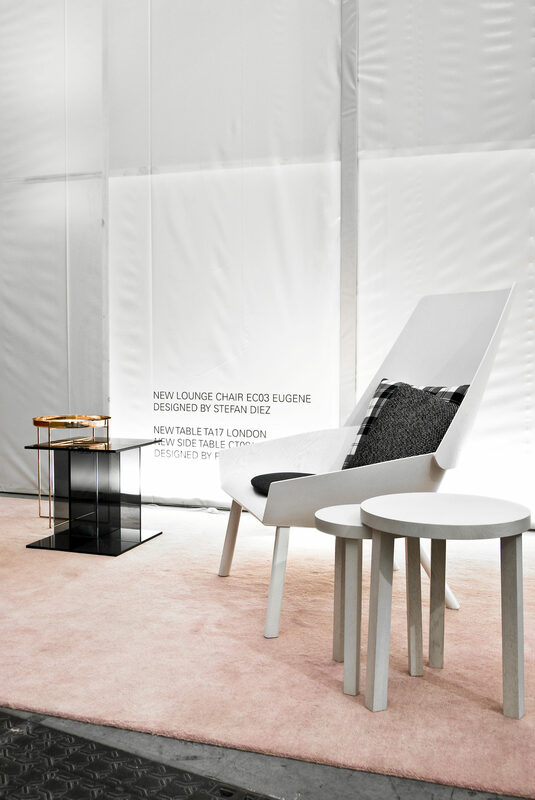 For the exhibition at furniture fairs in its 15th anniversary year, the modern furniture brand e15 commissioned a new exhibition stand concept. 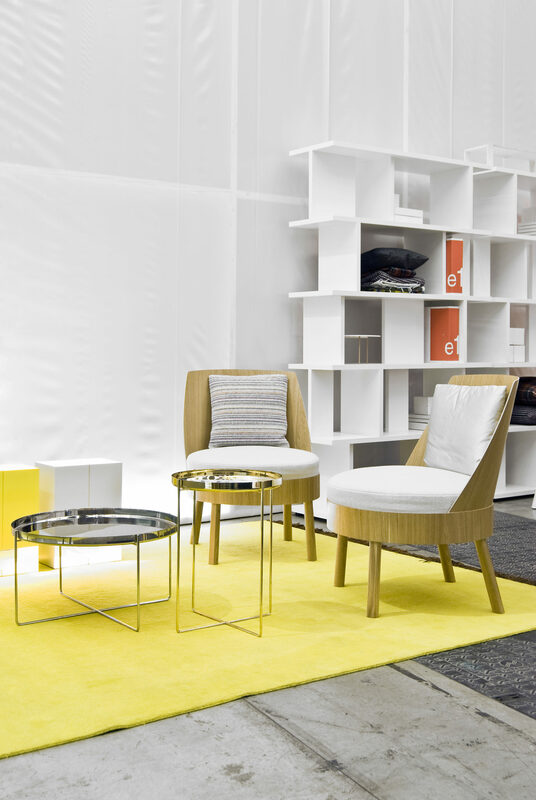 Intended to reflect a creative work environment, the stand design emphasised a studio character and showed the continual design process the brand lives. 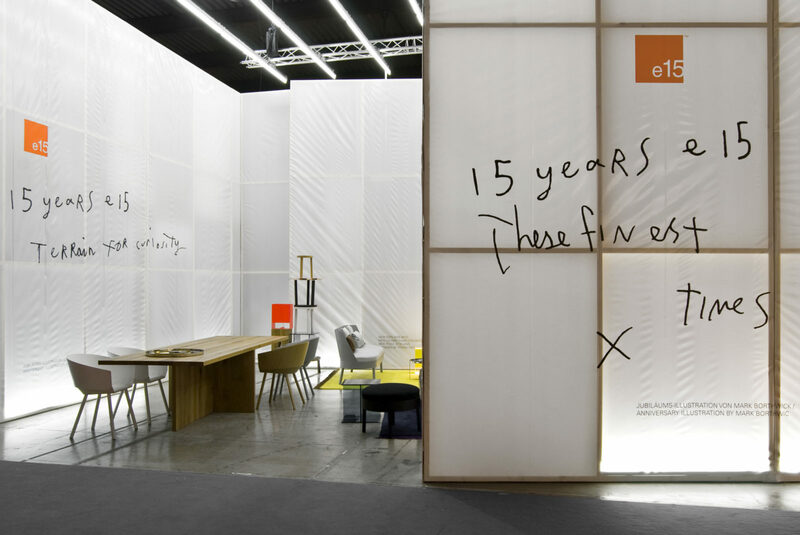 On raw industrial flooring, timber scaffolding with white plastic tarpaulin make up the stand walls, which are adorned by handwritten greetings of the brand’s befriended New York artist Mark Borthwick. 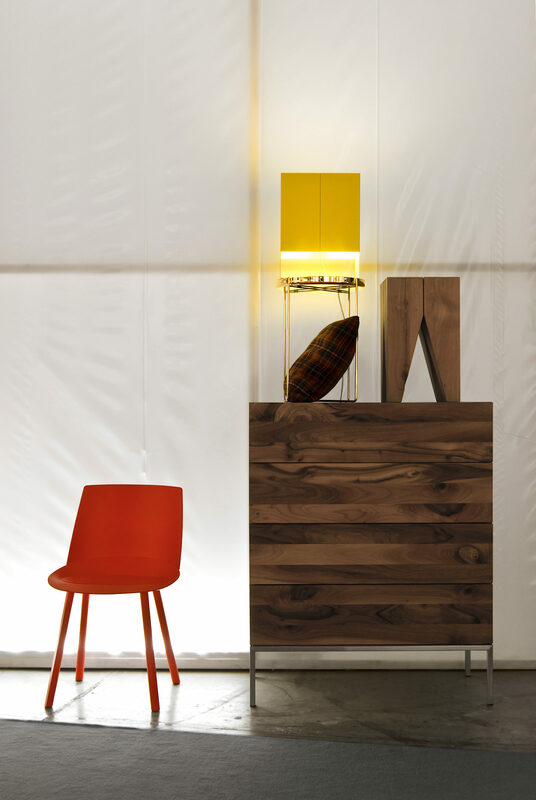 Lighting is produced by fluorescent tubes in the improvised walls, and symmetrically placed as ceiling lights. 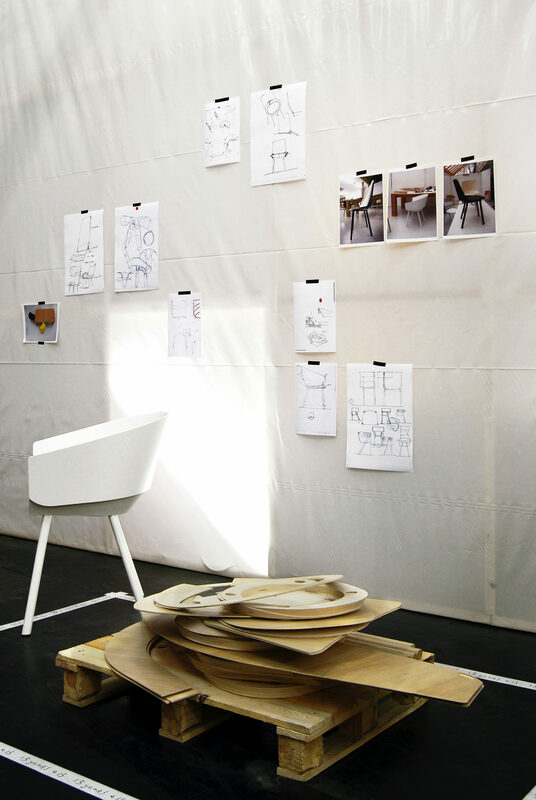 Product models, material samples, furniture component parts, development images and drawings are all on display along with the finished products.